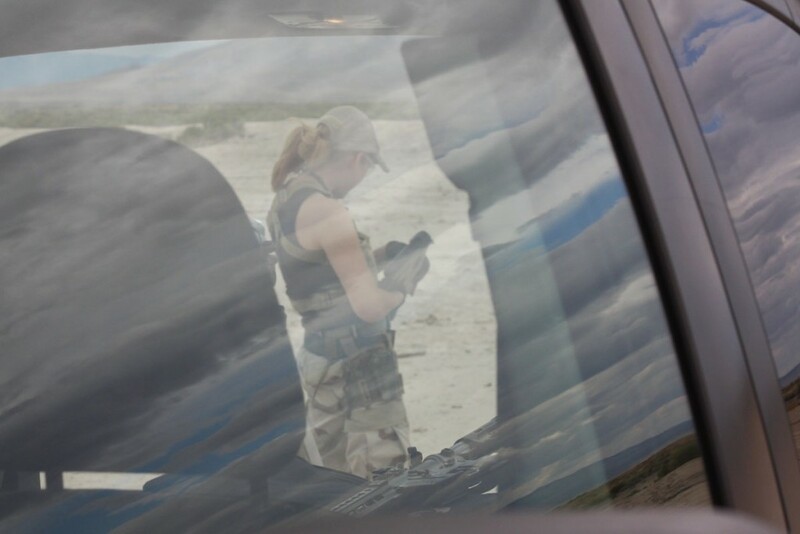 Sighting in and setting up for a video shoot. 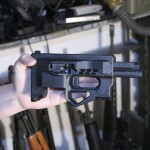 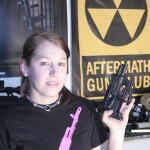 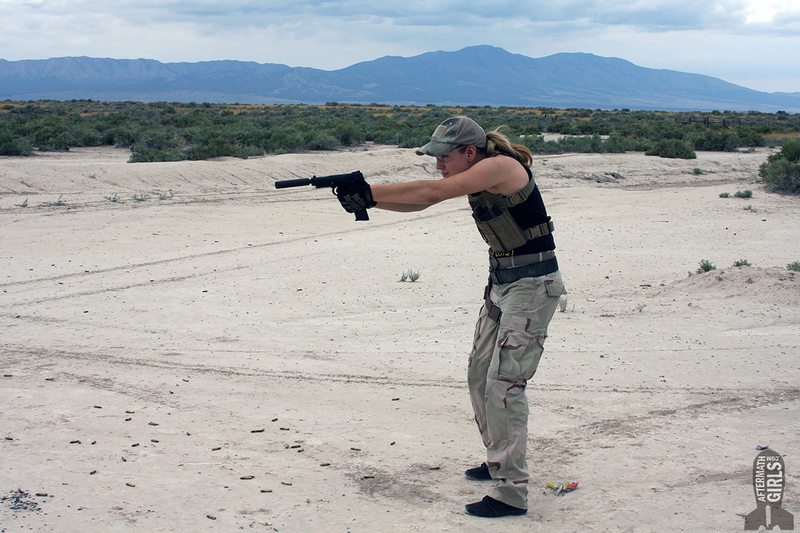 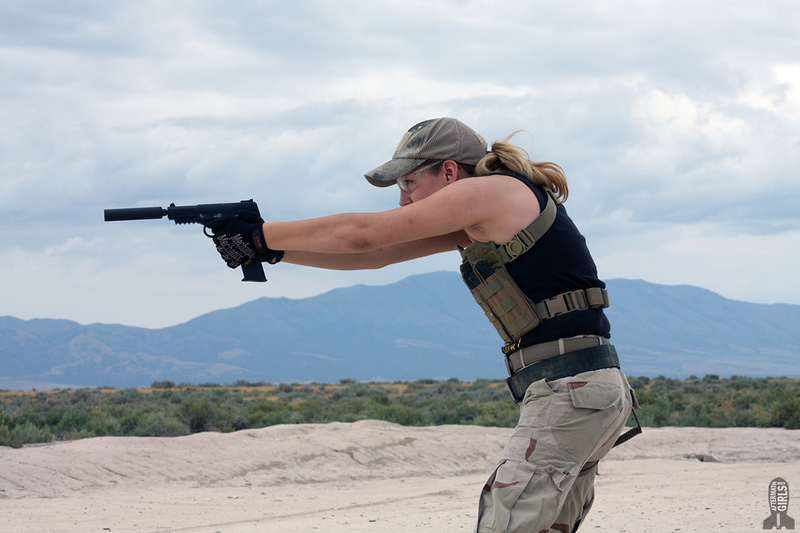 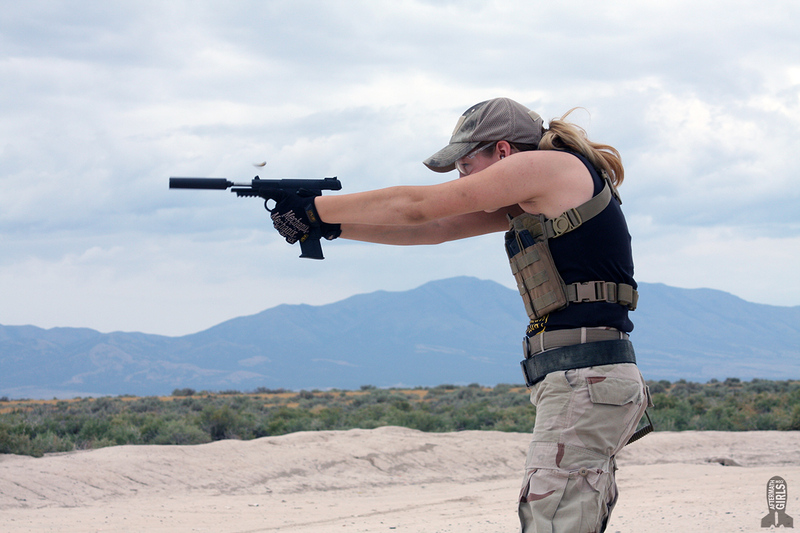 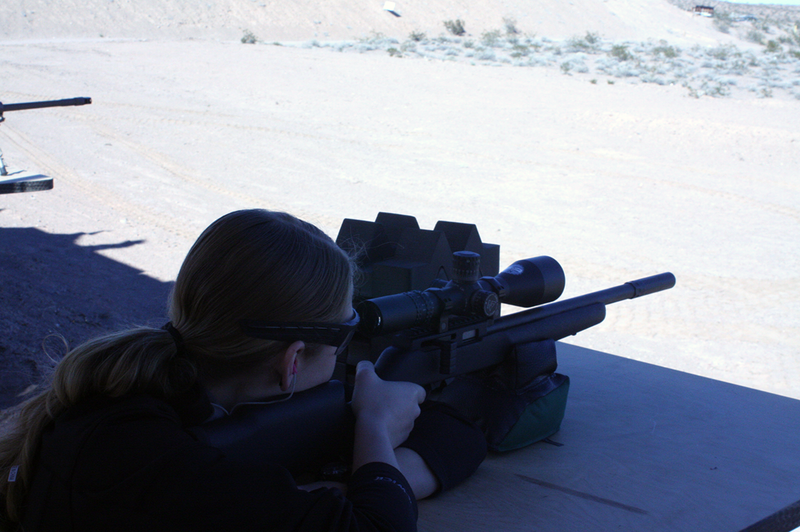 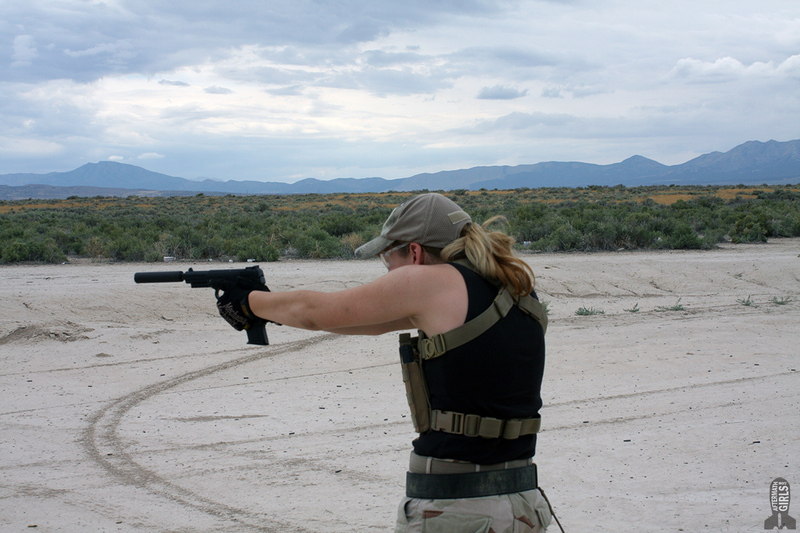 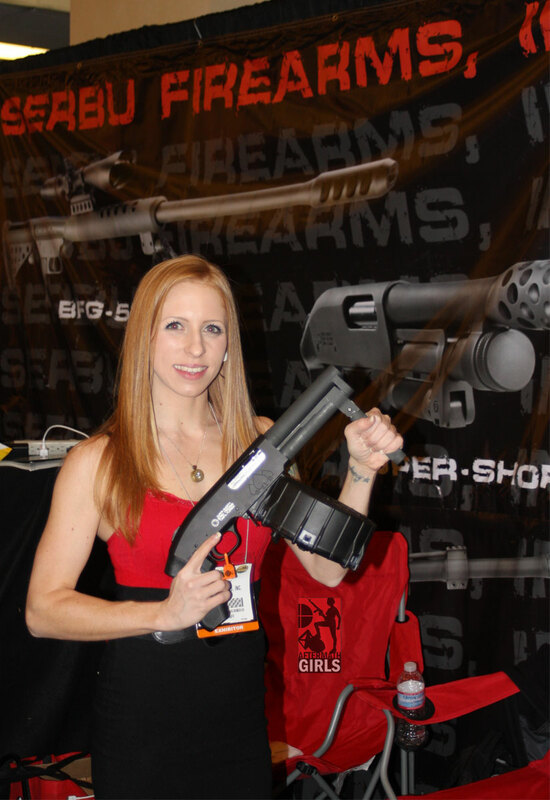 You Tube channel Man – Woman – Guns often feature short videos of the Kirsti firing a weapon with another purpose beyond seeing her do just that. 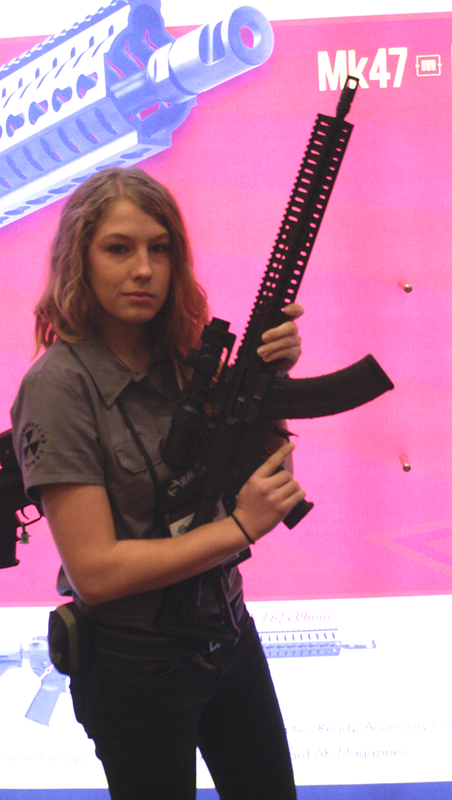 Here she is with an M1918 BAR (User Nelson Adcock points out is likely a Colt Monitor). 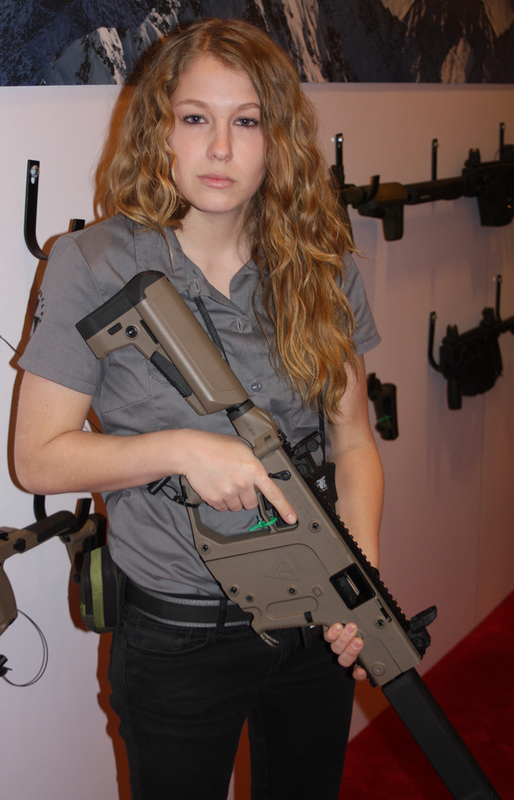 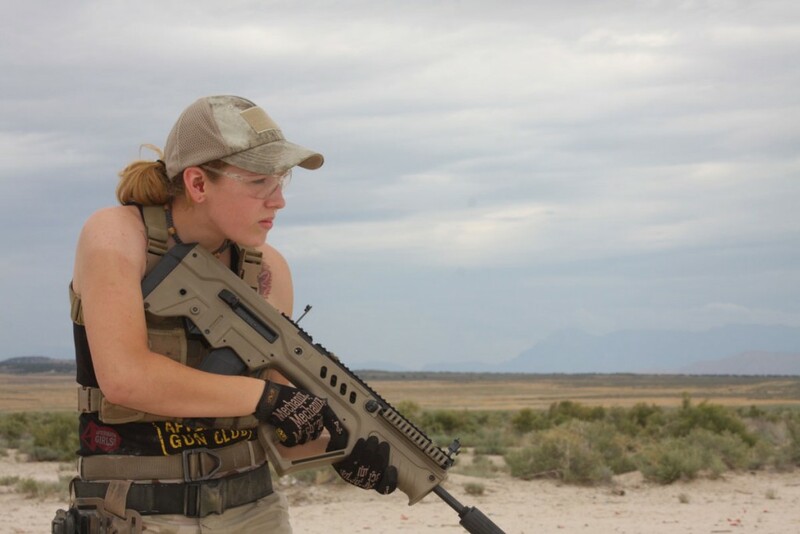 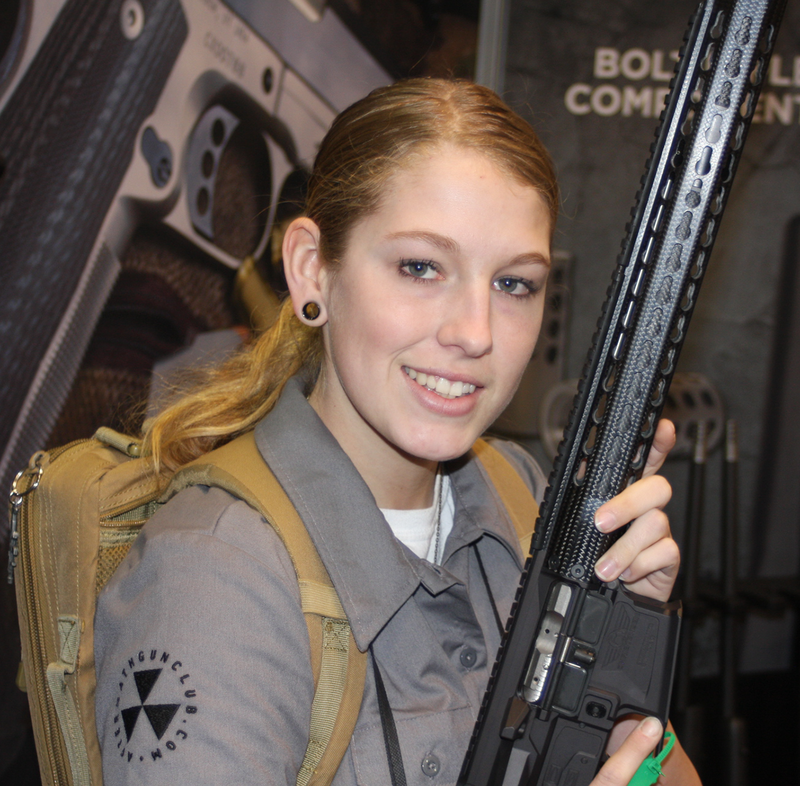 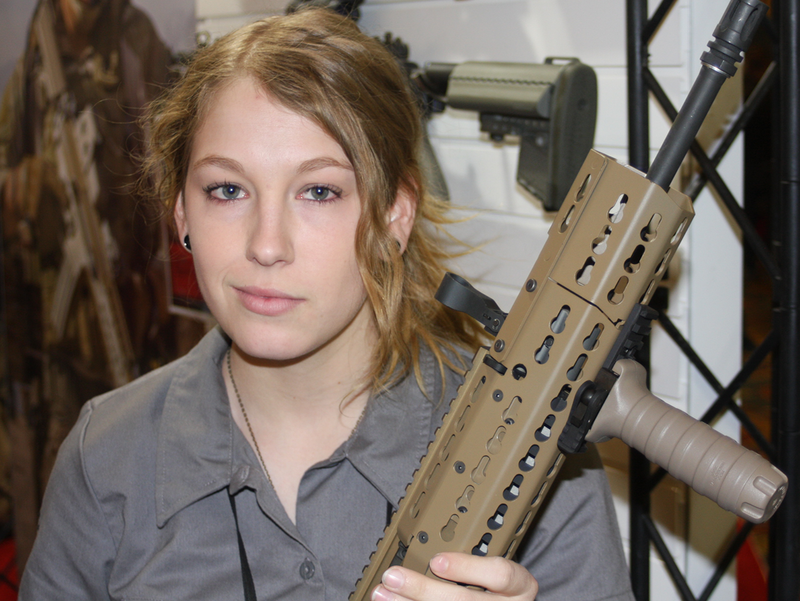 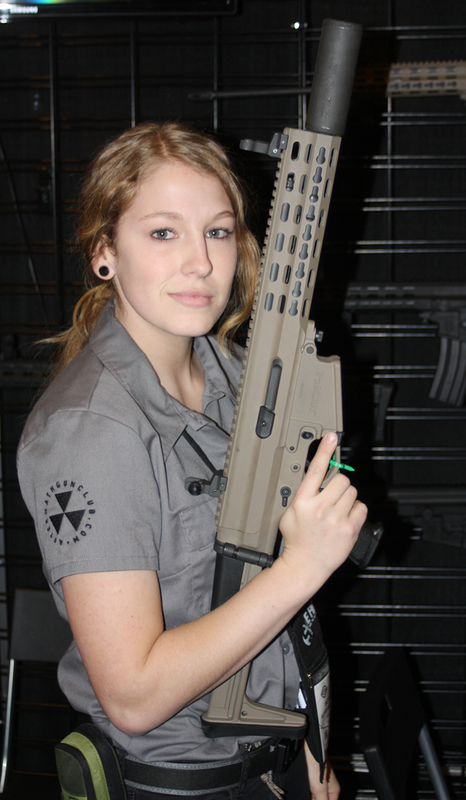 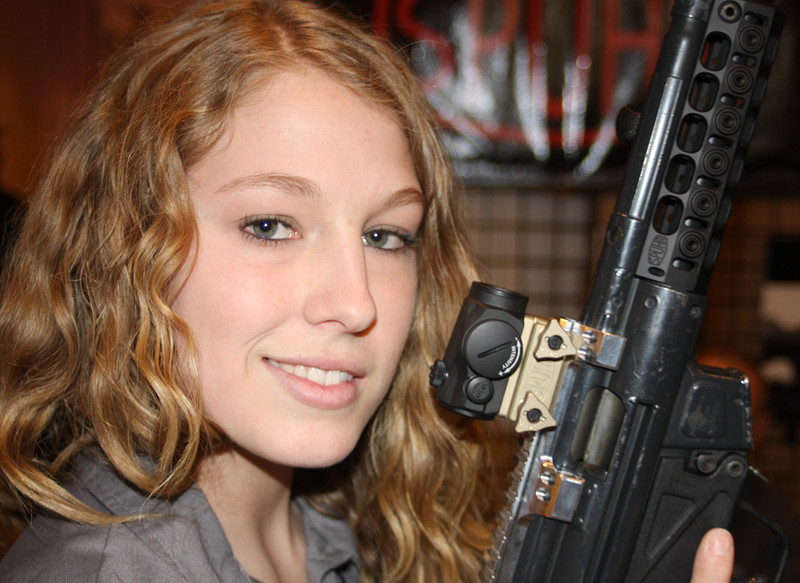 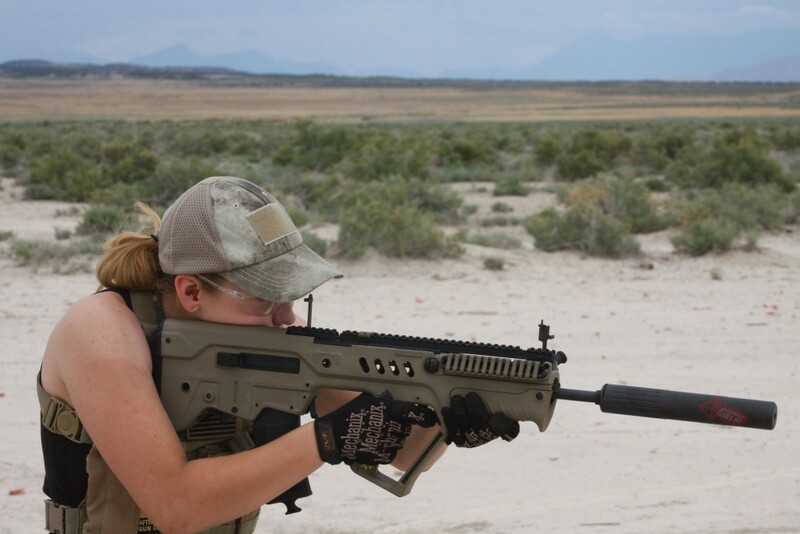 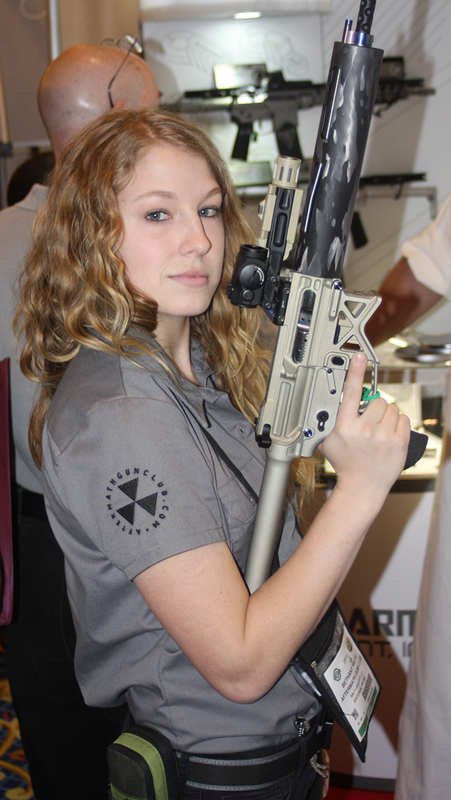 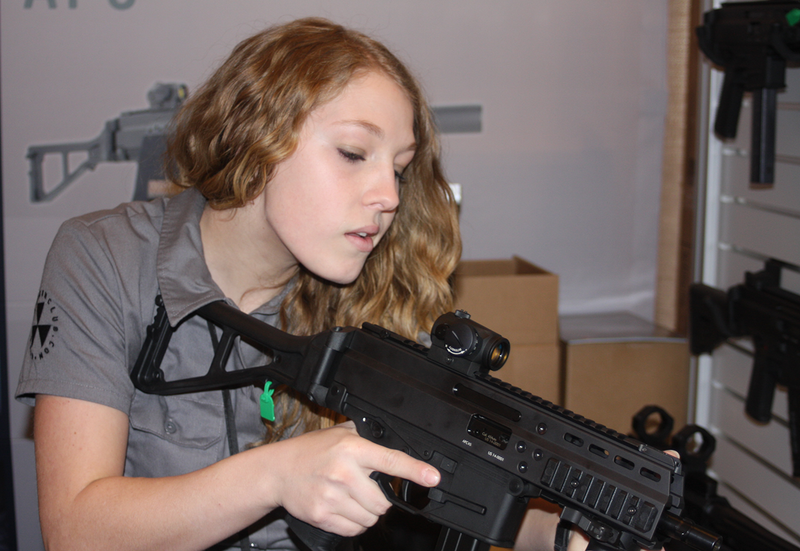 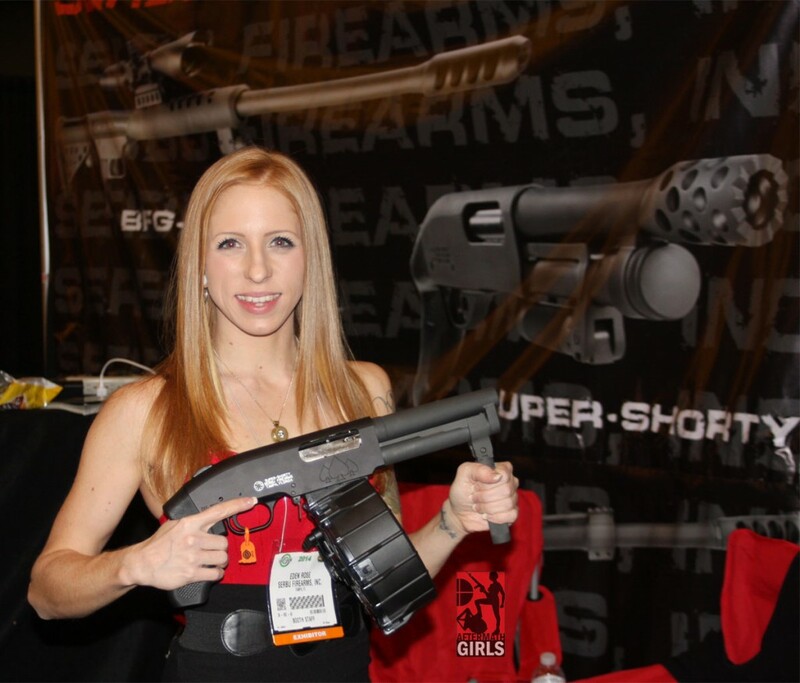 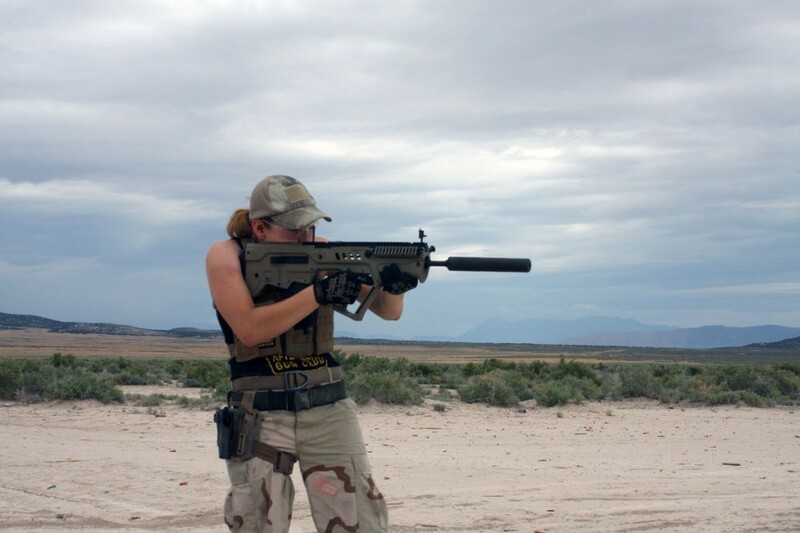 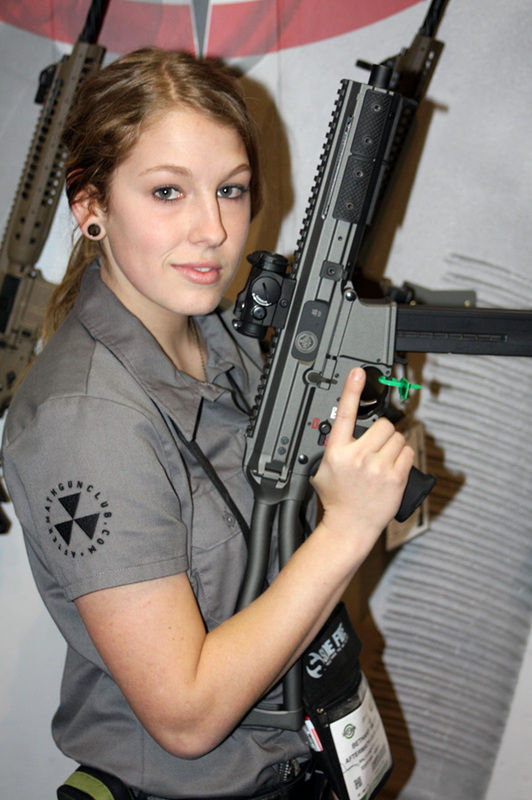 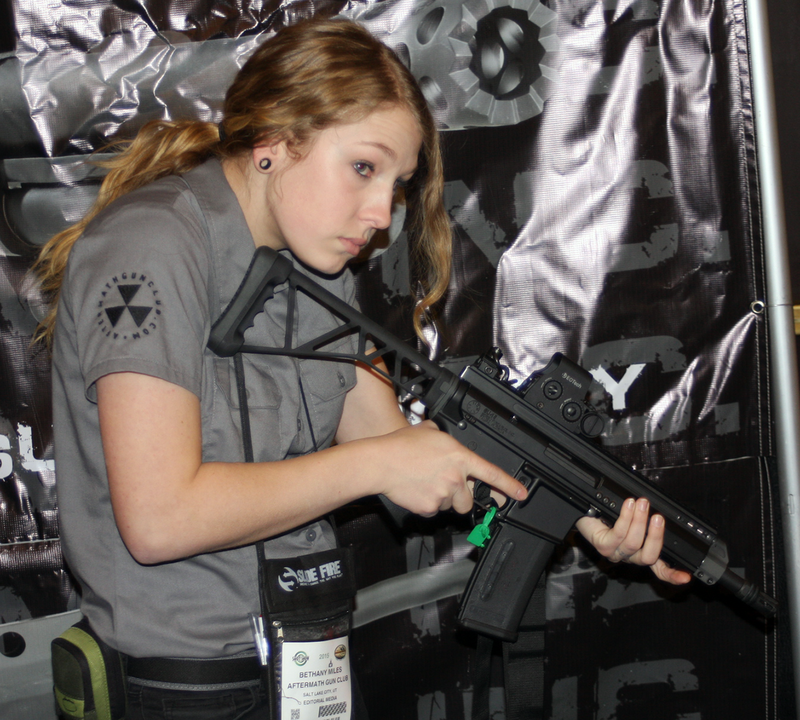 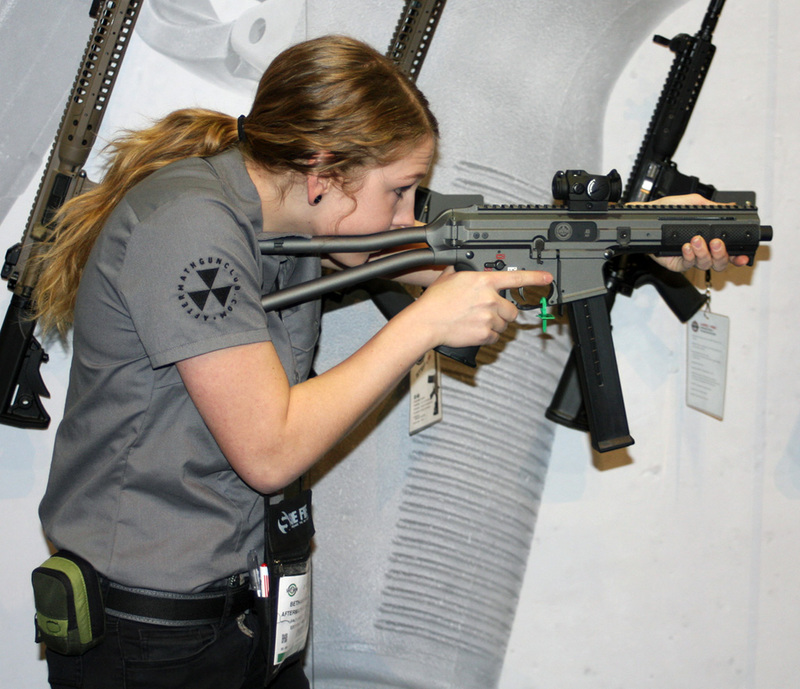 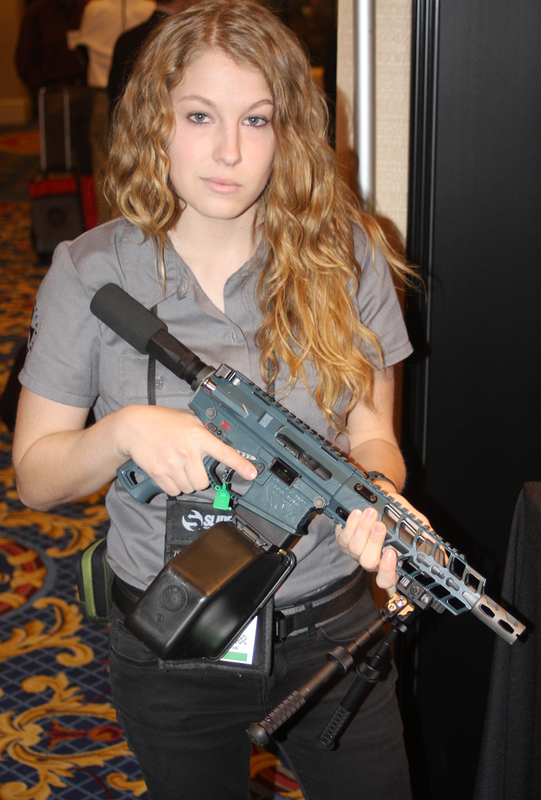 GunDoll with IWI Tavor SAR bullpup & AAC suppressor. 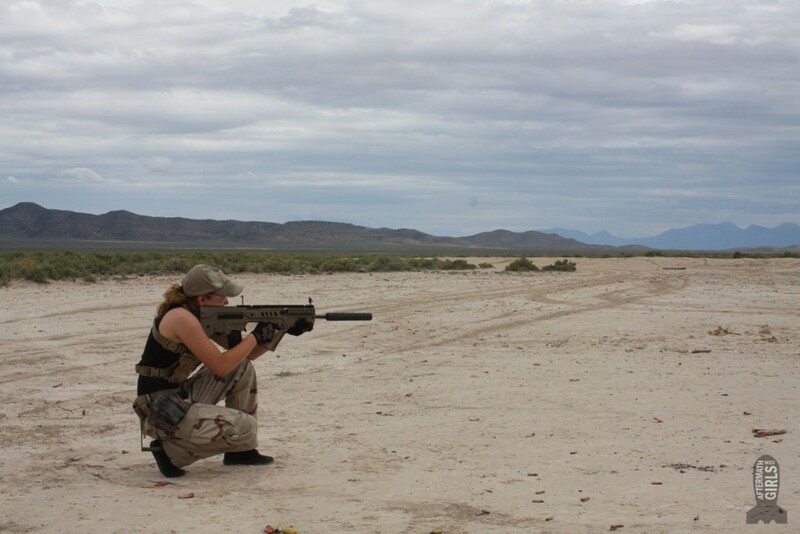 Posed to get the sky in the shot.